LONG BEACH, Calif., Feb. 5, 2019 /PRNewswire/ -- DENSO Products and Services Americas, Inc., an affiliate of leading global automotive supplier DENSO Corp., will serve as the lead sponsor of Pro Stock Motorcycle racers Angie and Matt Smith in the 2019 NHRA Mello Yello Drag Racing Series. The move builds on DENSO's support for the husband-and-wife teammates by elevating DENSO's associate sponsorship of Matt to a primary sponsorship and renewing DENSO's primary sponsorship of Angie Smith for the second consecutive year. 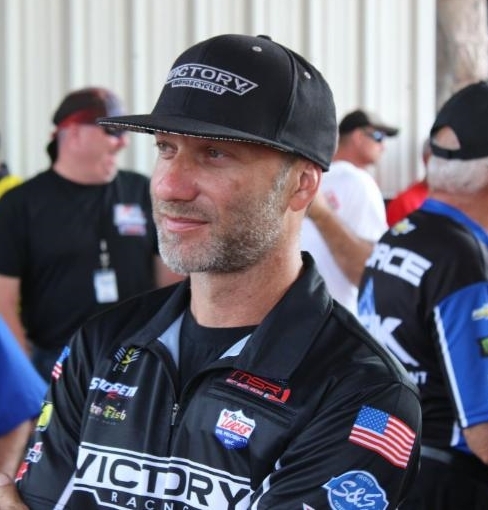 "I am truly grateful for DENSO to step up and become my main sponsor after being a major associate sponsor," said Matt Smith, who won the 2018 Pro Stock Motorcycle World Championship. "DENSO Iridium spark plugs powered my bike to the championship and the fastest speed ever (201.22 mph) in 2018. With DENSO's support, I look forward to more records and race wins in 2019." 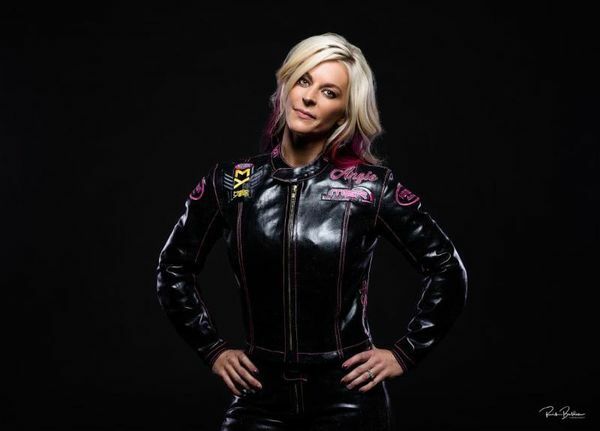 "I'm extremely happy to have DENSO back with me as my primary sponsor for the 2019 season," said Angie Smith, who finished the 2018 season in the top 10 Pro Stock Motorcycle racers competing in the finals. "Each year we continue to improve our stats. I truly think this season is going to be a record-setting year for me and DENSO, and I'm looking forward to March so we can get this season started!" At every race, DENSO welcomes fans to Nitro Alley, the midway, to learn more about and purchase DENSO's premium Iridium TT, Iridium Power and Iridium Racing spark plugs. DENSO also posts its own race and product updates on Facebook, Twitter, Instagram and YouTube throughout the series. More information on DENSO spark plugs, as well as DENSO's comprehensive lines of auto parts, is available at retail stores, wholesale distributors and www.densoautoparts.com. DENSO is a $48.1 billion global mobility supplier that develops advanced technology and components for nearly every vehicle make and model on the road today, including Toyota, Honda, FCA, GM, Ford, Volvo, and Mercedes-Benz. With manufacturing at its core, DENSO invests in its 220 facilities in 35 countries to produce thermal, powertrain, mobility, electrification, & electronic systems, to create jobs that directly change how the world moves. The company's 170,000+ employees are paving the way to a mobility future that improves lives, eliminates traffic accidents, and preserves the environment. Globally headquartered in Kariya, Japan, DENSO spent 8.8 percent of its global consolidated sales on research and development in the fiscal year ending March 31, 2018. For more information about global DENSO, visit https://www.denso.com/global. In North America, DENSO employs 24,000+ engineers, researchers and skilled workers across 31 sites in the U.S., Canada and Mexico. In the United States alone, DENSO employs 17,000+ employees across 11 states and 25 sites. Headquartered in Southfield, Michigan, in fiscal year ending March 31, 2018, DENSO in North America generated $10.9 billion in consolidated sales. Join us, and craft not only how the world moves, but also your career. For more information, go to https://www.denso.com/us-ca/en/.